We are The Arts Society Walton and we were founded in 2002, as a member society of The Arts Society (previously the National Decorative and Fine Arts Society, NADFAS). Our objectives are the promotion and appreciation of the fine and decorative arts as described in our constitution (PDF format). With this in mind, we organise a programme of lectures, special interest days and visits for our members. The Arts Society Walton is part of the West Surrey Area Group. The eighteen groups in our area meet twice a year for mutual support, the exchange of ideas and for training new committee members. The committee are volunteers and organise all the activities of the branch. We are always on the look out for new committee members and for people to help with general activities. These include occasional help with making the tea after lectures and help with erecting the screen and preparing the audio visual equipment each month. Please go to the contact us page if you would like to help or the feedback page to send us a comment. 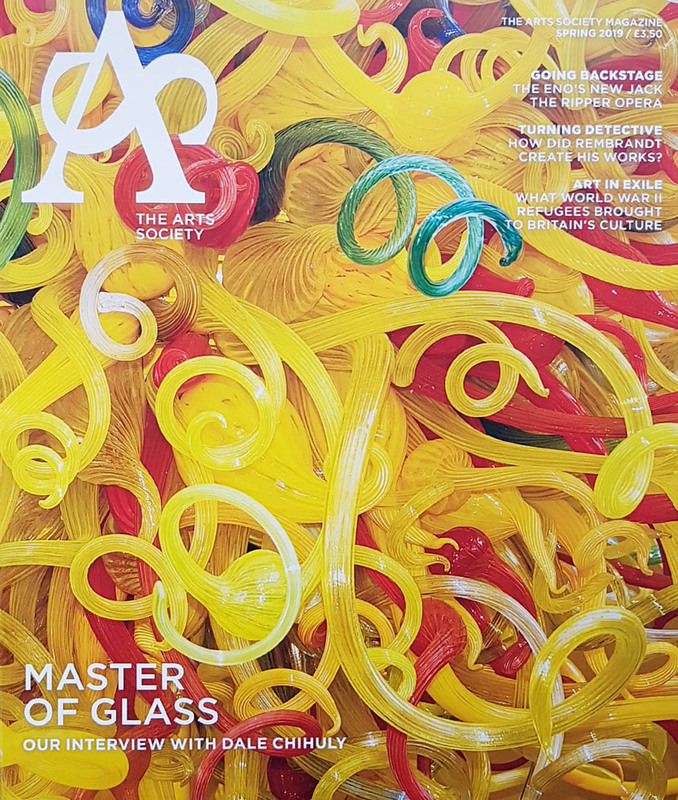 The Arts Society produces a magazine called ‘The Arts Society Magazine’ which is sent direct to the member’s home every quarter and provides news of activities nationally. There are now about 360 other societies mostly in Britain and there are also members in Spain, Australia and New Zealand. In early 2009 we decided to introduce digital presentation into the lectures and at the same time introduced “Opening Screens” which start with house notices, such as fire exits and requests to switch off mobile phones and follows with full information about the day’s lecture, future lectures, Special Interest Days, Visits and Tours. The whole presentation takes between 7 and 10 minutes and runs as a continuous loop for about an hour before the lecture starts. We were delighted when “Opening Screens” were voted Highly Commended in the NADFAS Media Awards for 2009. We were also pleased to receive the 2006 NADFAS Digital Award for this website which was designed by Laurence Shafe, one of our former chairmen. We provide an annual newsletter that summarizes the previous year and discusses the year ahead. The newsletter is sent out with the annual membership card and lecture programme. Click on the following to view past newsletters, please note that they are all in PDF format and the free Adobe Reader must be installed first. We aim to provide a well balanced programme with 10 lectures a year. These are held at All Saints Church Hall, 13 Queens Road, Hersham KT12 5LU, on the second Thursday of the month at 2.00 pm. Our lectures are followed by a cup of tea for those who would like to stay. The places we visit are normally within 60 miles because we like to leave just after the morning rush hour and return by 6pm. We take a coach and normally have lunch at the venue so there is of course a charge. Sometimes it’s appropriate to visit two places in one day. Those who come alone on the visit always end up getting to know other members. We sell each visit at the previous two lectures and sometimes there is a cluster of people waiting for our Visits Secretary to ‘open shop’. We ask members to pay by cheque and to pay for a maximum of two people – so much simpler should someone have to drop out. Those who have been on our visits have always returned full of enthusiasm and the decibel level on the return journey is always higher. As well as the monthly lecture, we arrange two or three other events per year. We call them Special Interest Days but sometimes you will see them referred to by long-standing members as Study Days. The idea is that we take a topic and spend much of the day thinking about it. These are held in the Riverhouse Barn Arts Centre in Walton and normally the lecturer will give three related lectures on that topic with coffee and lunch included in the price. Sometimes, the afternoon lecture has become a mini ‘roadshow’ and members have brought their own jewellery and antiques for appraisal and in our first year, our pieces of china were dated and valued. 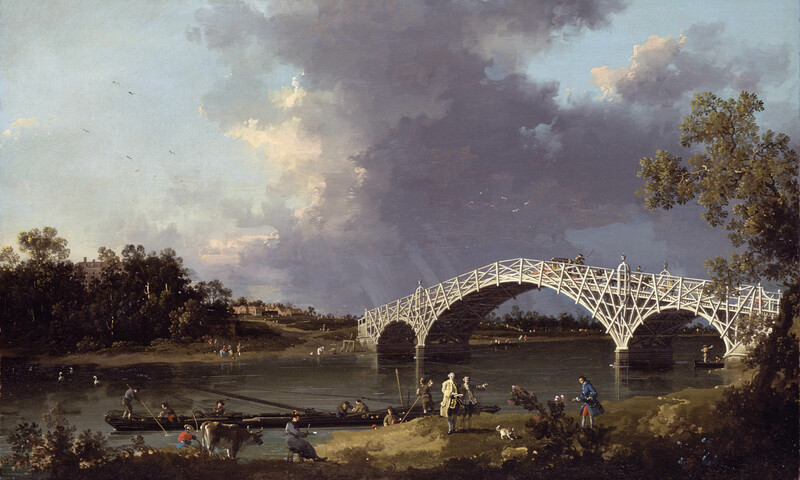 Elizabeth Gordon, ‘Vivaldi and Canaletto’. Peter Medhurst, ‘We Three Kings’. Claire Walsh – ‘A History of Christmas Shopping’. Ann Clements, ‘In the Bleak Mid-Winter’. Peter Medhurst, ‘Mozart and his World’. John Benjamin, ‘Jewellery through the Ages’. Barbara Peacock, ‘The Georgian Country House’. The Arts Society encourages societies to support Young Arts as so little money is given to schools these days for art. The aim is to inspire young people with an enthusiasm for the arts. By 2005 we had built sufficient reserves to begin sponsoring a local school. Last year we supported the production of one panel of a forty panel tapestry commemorating the Centenary of the ‘No. 2 New Zealand General Hospital’ at Mount Felix in Walton-on-Thames where more than 27,000 soldiers were treated during WWI. It is an exciting and lengthy experience to thoroughly record a church. One thousand buildings have been recorded by The Arts Society volunteers nation-wide and the information in these records has been used by researchers, insurance companies and the police. We are currently working on St. Paul’s Church, East Molesey, a Victorian church in the gothic style. 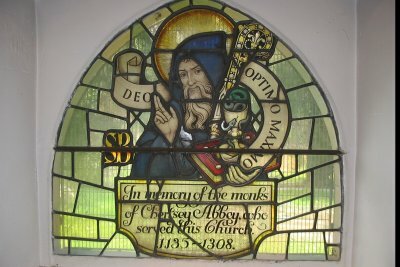 St Mary Magdalene at Littleton, Shepperton, which was founded in 1135 by the Benedictine monks of Chertsey Abbey and had a wealth of history for us to record. Our Group meets twice a month from about 10am to 2pm; we work in pairs or more, recording the section we are involved with. The sections cover memorials, metalwork, stonework, woodwork, textiles, painting, library, windows and miscellaneous items. (This last is nobody’s favourite). We have guide books to help us and it’s amazing how quickly we can pick up the method. I think we all feel enriched after a session recording. Each item of note is also photographed and the final record goes to the Church. Copies are held in the County Record Office, the Victoria & Albert Museum, the Council for the Care of Churches and the National Monuments Record Centre. Member’s details will be processed fairly and lawfully and in accordance with the Society’s legitimate activities. Members’ details will be disclosed to The Arts Society and to other Member Societies, Area or organisations affiliated to The Arts Society or the Society. Members shall notify any change of address to the Society. The Arts Society uses your details for the mailing of the The Arts Society Review and for no other purpose. The Arts Society does not share your details with third parties. This is a summary of the society’s insurance policy.